Kimberlite is a type of peridotite consisting of a fine-grained matrix of calcite and olivine and containing phenocrysts of olivine, garnet, and sometimes diamonds. It is also called blue ground, a dark-coloured, heavy, often altered and brecciated (fragmented), intrusive igneous rock that contains diamonds in its rock matrix. 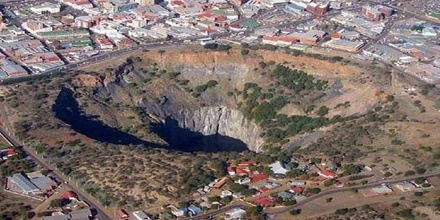 It is named after the town of Kimberley in South Africa, where the discovery of an 83.5-carat (16.70 g) diamond called the Star of South Africa in 1869 spawned a diamond rush, and the digging of the open-pit mine, the Big Hole. 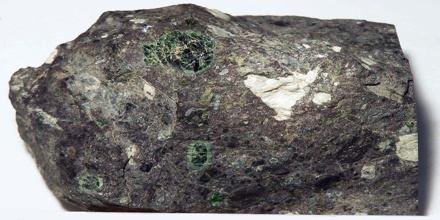 An ultramafic volcanic rock, dominated by olivine, phlogopite and diopside +/- garnet, commonly highly serpentinized, porphyritic, and brecciated, which occurs in vertical pipes, dikes, and sills. It is the principal primary host for diamonds, but only a small percentage of the known kimberlite occurrences are diamondiferous. Kimberlite pipes are the most important source of mined diamonds today. The consensus on kimberlites is that they are formed deep within the mantle. Kimberlite occurs in the uplifted centres of continental platforms. In the Kimberley district, South Africa, it forms pipes and, occasionally, dikes. Other occurrences include the dikes at Ithaca, N.Y., the Kimberley and Lake Argyle regions of Australia, and the lavas in the Iswisi Hills, Tanzania. It occurs in the Earth’s crust in vertical structures known as kimberlite pipes as well as igneous dykes. Kimberlite also occurs as horizontal sills. It is this depth of melting and generation which makes kimberlites prone to hosting diamond xenocrysts. Its probable derivation from depths greater than any other igneous rock type, and the extreme magma composition that it reflects in terms of low silica content and high levels of incompatible trace element enrichment make an understanding of kimberlite petrogenesis important. There are various physical properties of Kimberlite like Hardness, Grain Size, Fracture, Streak, Porosity, Luster, Strength etc which defines it. The physical properties of Kimberlite rock are vital in determining its Kimberlite Texture and Kimberlite Uses. Many kimberlite structures are emplaced as carrot-shaped, vertical intrusions termed ‘pipes’. This classic carrot shape is formed due to a complex intrusive process of kimberlitic magma which inherits a large proportion of CO2 (lower amounts of H2O) in the system, which produces a deep explosive boiling stage that causes a significant amount of vertical flaring. The physical properties of Kimberlite depend on its formation. Physical properties of rocks play an important role in determining its applications in various fields. 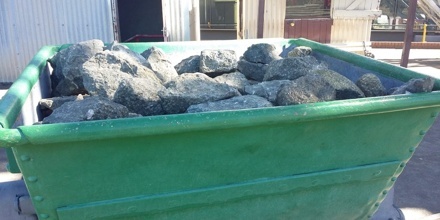 Rocks are rated on the on the Moh’s Hardness Scale which rates the rocks on the scale from 1 to 10. Rocks with hardness 1-3 are soft rocks from 3-6 are medium hardness rocks and 6-10 are hard rocks. Kimberlite cleavage is conchoidal. The specific gravity of Kimberlite is 2.86-2.87. Kimberlite is translucent to opaque in nature whereas its toughness is not available. Some kimberlites contain late-stage poikilitic eastonite phlogopites. Nickeliferous sulphides and rutile are common accessory minerals. 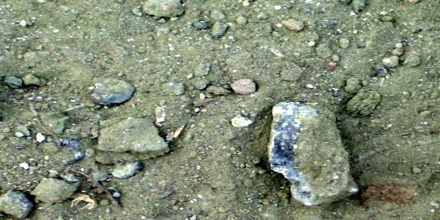 The replacement of early-formed olivine, phlogopite, monticellite, and apatite by deuteric serpentine and calcite is common. Evolved members of the clan may be devoid of, or poor in, macrocrysts, and composed essentially of calcite, serpentine, and magnetite together with minor phlogopite, apatite and perovskite. Thermal properties of Kimberlite play an important role in geology. Specific heat capacity, resistance offered by the rock to heat, water, pressure etc. are some of the thermal properties of Kimberlite. Historically, kimberlites have been classified into two distinct varieties termed ‘basaltic’ and ‘micaceous’ based primarily on petrographic observations. Kimberlites are peculiar igneous rocks because they contain a variety of mineral species with chemical compositions that indicate they formed under high pressure and temperature within the mantle. Rocks are hard, soft, permeable and impermeable. They are of various sizes and shapes, depending on the type of rock. Rocks are used in almost everything starting from food, medicines, jewelry to pencil, makeup, roads, tools, floors, monuments, statues etc. Many types of rocks are the building blocks of structures from ancient times and are still being used for the same. Similarly, there is wide range of uses of Kimberlite. Kimberlite also uses in construction industry include As a flux in the production of steel and pig iron, As a sintering agent in steel industry to process iron ore, As dimension stone, Cement manufacture, For road aggregate, Making natural cement, Manufacture of magnesium and dolomite refractories. 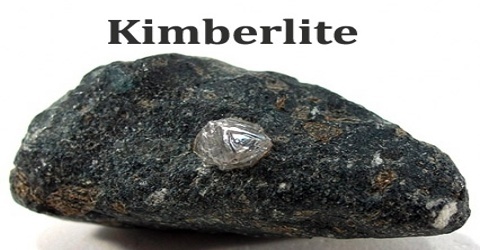 Uses of Kimberlite in medical industry include Taken as a supplement for calcium or magnesium. Some types of rocks have exceptional properties and can be used in medical industry. Reference: britannica.com, mindat.org, rocks.comparenature.com, wikipedia.